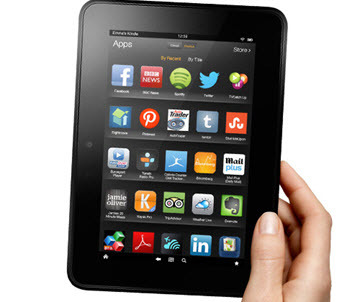 According to Forrester Research, the Kindle Fire is the #2 best selling tablet merely after Apple's iPad, with about 7 million units sold as of May 2013. Amazon Kindle Fire's great success can be attributed to not only its much lower price point but also the unbeatable content touting 18 million movies, TV shows, songs, etc, which really transforms the way we watch movies and videos. Its 1280*800 resolution screen provides such an amazing experience to watch these digital videos. But for people who want to put the local contents to this tablet, it's better to ensure they are the videos that Kindle Fire supports. Before we go to the sector, you'd better prepare a professional video converter for Kindle Fire since the Amazon tablet only supports playing a limited formats. For these video files that are not viewable on Kindle Fire, such tool usually helps to convert the incompatible files to Kindle Fire supported video formats for smooth playback. Kindle Fire tablets support several formats. You can find the answer on Amazon official page. But if you are confused by the video and audio specifications for each, you can just following the video and audio formats below. Tips: For the abovementioned file formats, Kindle Fire limits the vertical resolution to a maximum of 1080 pixels and the maximum frame rate to 30 frames per second. Besides, the first generation of the tablet does not support HTTP Live Streaming. For people who want to play videos on Kindle Fire, knowing the parameter settings in addition to the video/audio formats Kindle Fire support is a trump card for a smooth playback. Below is the tablet of the best video/audio parameter settings for Kindle Fire. The devoid of DVD player on Kindle fire makes it hard to enjoy DVD movies on the tablet directly. But DVD ripper software makes it happen a few clicks because it helps to rip DVD to Kindle Fire supported video formats like MP4, 3GP, MKV, etc with ease. The finite video formats supported by Kindle Fire means that you have to resort to some transcoding process when it comes to the format incompatible with Kindle Fire. For example, if you've saved a funny YouTube video in FLV format or got a .m2ts wedding clip from your friend, you'd better convert these videos to Kindle Fire readable format with the aid of a video converter. 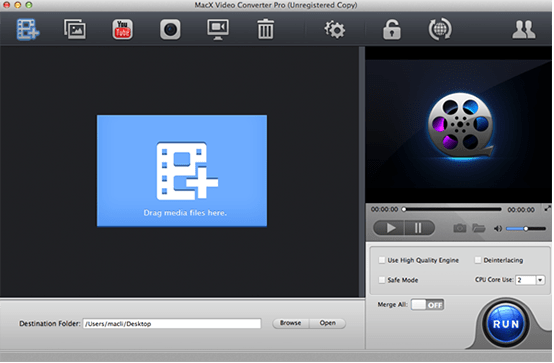 Here MacX Video Converter Pro is the best Kindle Fire (HD) video converter, not only because it supports converting AVCHD, AVI, MOV, FLV, MTS videos to Kindle Fire supported format, but also because it provides the best preset profiles for all generations of Amazon tablet, be it Amazon Kindle Fire HD or the 7 and 8.9/8.99 inch versions of Kindle Fire HDX.. That means you can get whatever videos playable on Kindle Fire without adjusting the parameter settings. 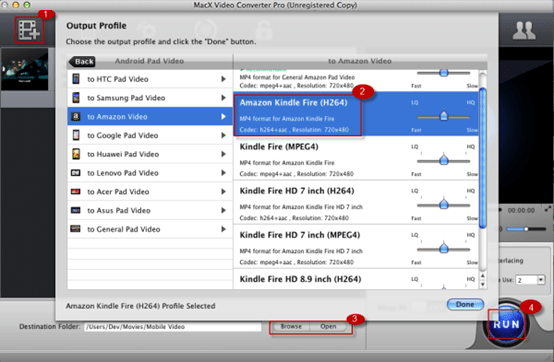 Launch this video converter for Kindle Fire on Mac, import source video by clicking "+" button at the top left corner. Additionally, you can load multiple video files at a time. Once loading the source video, the output profiles windows will pop up automatically to assist you to choose suitable profiles for your Kindle Fire tablet. You just go Android Pad Video -> to Android Video and choose the Amazon Kindle Fire as your output format. Click "RUN" button to trigger the video to Kindle Fire conversion on Mac. Once the conversion is done, mount your Kindle Fire (HD) on to your computer via USB to copy converted file into your tablet. Tips: This abovementioned Kindle Fire video converter is just available for Mac platform. For windows users, you can head over to the windows version to convert video to the format supported by Kindle Fire tablet. Best all-in-one solution to convert video, download YouTube, make slideshow, record screen and edit video. 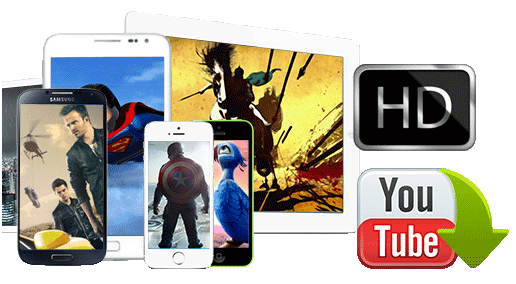 Built in 370+ video & audio codecs, the video converter for Mac can convert HD videos from Camcorders, all standard videos, online YouTube videos, TV shows, movies, etc for playing on the latest mobiles & tablets, including iPhone, iPad, Android, Samsung, WP8, PS4, etc. 32X faster and no quality loss.